GSMArena: Is your oversampling technology different from pixel binning technology? D. Dinning: Yes, it is more complicated than binning. We looked at a number of different methods how we could do this, and some methods preserve more detail, but there are generally a couple of problems here. One is that there's just something not right about the images when you use binning. I won't use the term natural, the term that we use is they are not pure. When you look at the picture, you just see the pixels that relate to the exact detail. What you end up with is you never have strong contrast and there's always a certain softness between pixels—you see three or four pixels leading from black to white. You never see black then white pixels next to each other. Whereas with oversampling, typically you can see pixels literally switch from one color to another. It's really clean. GSMArena: We noticed that the 808's PureView mode only refers to the lower resolution images, which are oversampled and then downsized? D. Dinning: What we wanted to be able to do is make it easy for people to understand the difference between these two camera modes. 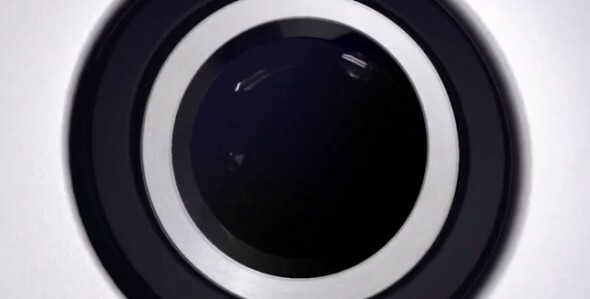 You have PureView where you get the oversampling and zooming capability, as opposed to the full resolution capability. We are interested to see how people will use the different resolution options. One way we think people will make use of that, is that they'll take pictures quickly, and then do the composition and framing later. Another way would be, you can take a picture, and then reframe it or crop it in multiple ways. It gives you that flexibility when you need it. Whereas with optical zoom, once you take it, you're done, and you can't really change it other than with a little bit of extra cropping. We're intrigued to see if people will put that into use. Maybe they'll do it just for fun shots, maybe some people will do it all the time, which is why we made that setting quite accessible. GSMArena: If we only needed a 2MP image, for instance, we would traditionally take a full resolution shot, and then downsample it with Photoshop. Does PureView provide downsampling algorithms superior to those of Photoshop or other image editing software, effectively eliminating this step? D. Dinning: We haven't really made that comparison. What I can say is, depending on the interpolation and downsampling you use in Photoshop, it may be possible that you'll get similar performance. But you're then handling the JPG file that was saved, so you're probably better off doing it at point of capture. I think you'll find that we probably have a different balance to what you achieve with Photoshop. How we optimize the algorithms is to retain as much of the detail as possible that we think is represented in the object, but also filter as much of the noise as possible. In Photoshop, you typically might get a sharpness that looks higher, but you might get more noise, for example. We struck a slightly different balance when we use our algorithms. GSMArena: So PureView technology essentially allows you to skip shooting in full resolution and relying on post-cropping on a computer, saving yourself from filling your memory card with large files? D.Dinning: Yes, you won't get any benefit by shooting in full resolution and downsizing on a computer, other than the flexibility of being able to crop whatever portions of the image you like later. GSMArena: Tell us more about the companion chip in the camera. Is it a first for Nokia? Is it being done elsewhere? D. Dinning: As far as I know, the way of doing it this way is unique to us. The companion chip takes the information directly from the sensor and scales it, before that data goes to the GPU. The GPU has less load because of this scaling chip. What that means in practice is that in video we are able to handle over one billion pixels per second. 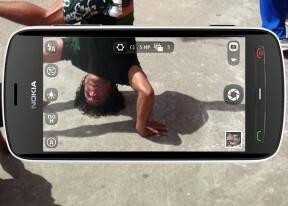 GSMArena: Does PureView technology help in any way with image stabilization, in video for example? D. Dinning: We do have a digital stabilizer for video, which we are still tuning at the moment. We had to modify the algorithm a little bit, but otherwise there weren't any additional significant challenges for us, other than, obviously, handling many more pixels. GSMArena: Is it actually working on the units demoed at the booth? D.Dinning: Not very well at this stage. It's one of the last things we are going to tune. 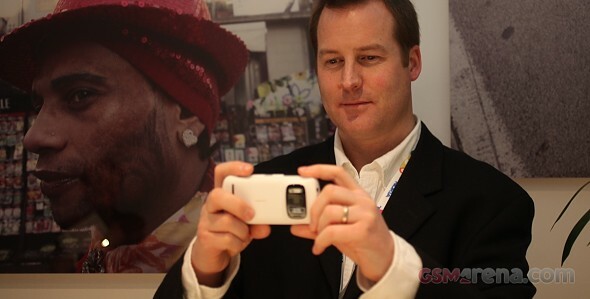 GSMArena: Will you be able to shoot stills while shooting video? D. Dinning: No, we're not supporting that at this stage. GSMArena: To use zooming in video you either use the volume key or drag your finger across the screen. Will there be an option to set the rate of the slide zoom? D. Dinning: Unfortunately not. That's something that we wanted to be able to do, but we have some technical limitations. One thing we are looking are looking at is to fine tune the speed of the zoom. I think we're going to make it slower than it currently is. It's a bit too fast. We're going to try a number of different speeds, and then pick what we think is the best balance of smoothness and speed. There is no technical limitation for us to be able to adjust the speed; the limitation is for us to be able to vary the speed. GSMArena: When you zoom digitally, you typically need high resolution just at the center, at the expense of the corners. Why are you using a grid with uniform resolution? Wasn't it better to have a lower resolution in the corners and a higher resolution at the center? D. Dinning: That was something that we actually tried. In the end, we wanted to have really high sharpness across the entire image. The original theory was that we could have a higher resolution center, but when we started to think more about the opportunities that people may have with a full resolution sensor, we decided to make the performance at such a level that you could get edge-to-edge sharpness, so that if you wanted to get view full resolution images, you'll still get good image quality when you zoom to the edges. GSMArena: There was an issue in the N8 we discovered where not every step of the zoom is of equal quality. Is that a problem with the 808? D. Dinning: We don't have that problem here. You'll have degradation when you don't oversample, which you'll only really see in low light, otherwise you probably won't see it. When you zoom from minimum to maximum, you may still see that, because we have to change the sensor mode. The sensor and the scaling run in different combinations, and we're trying to mask that as much as possible, so that it's not as noticeable as in the N8.